We hear a lot these days about rifts between police and the communities they serve. This is especially true in communities of color. I thought it might be helpful to offer my story as someone who comes from both worlds: I’ve devoted a career to policing the community where I was raised. I am a deputy police chief in my hometown of Salinas. Indeed, I’m a police officer in part because I grew up here, and because of the close ties between the police and the Salinas residents they serve. You read a lot about crime and challenges particularly in East Salinas, but I’m very proud to have grown up there. The city was different and smaller (about 80,000 vs. 155,000 today) when I was riding my bicycle all over East Salinas. I visited friends in Acosta Plaza and in the Sanborn-Garner area. My family was typical; on both sides, I had grandparents from Mexico who came here to work in fields and packing sheds. I loved the neighborhoods of Salinas. I also loved TV police shows like Dragnet and Adam 12 . And my schools—Fremont Elementary and El Sausal Middle—had an “Officer Bill” program, with a police officer who was assigned to the school (an early version of today’s school resource officers). I made friends with those officers. That relationship—and the fact I had strict parents (my dad worked at the former Ft. Ord, my mom was a homemaker) who instilled rules that kept me away from drugs and gangs—led me to consider law enforcement as a career. After I graduated from Alisal High, we couldn’t afford to send me directly to a four-year college, so I enrolled at Hartnell Junior College, here in Salinas. The college had a campus safety program run by the Salinas Police Department; I enrolled in administration of justice classes and worked in the program. I would patrol the college, providing security services and parking enforcement. It was a kind of mentorship program, and I got to know local law enforcement. Before I graduated from Hartnell, I became a reserve deputy with the Monterey County Sheriff’s Department, working weekends and at special events. After Hartnell, I was accepted to Fresno State but decided to put my education on hold to pursue my career. I was encouraged to apply for jobs with the sheriff’s department and the Salinas police. The sheriff’s department offered me a job first, so I took it. After the academy and training, I worked in the King City substation, but I wanted to come home and work out of the Salinas station, which serves unincorporated areas like Castroville and Prunedale. After time on patrol, I took a job as an investigator in the sheriff’s coroner division. The work was fascinating, particularly the collaboration with doctors and others in the medical field. It was as a coroner’s investigator that I met Joe Gunter, then a homicide detective for Salinas police (and now the mayor of Salinas). Once he realized I was born and raised in Salinas, he recruited me every time I saw him. I felt the pull of Salinas in other ways. I loved the city, and not just because it was home. The city is a good size—it’s not so small that there’s nothing to do here, but not so large that there’s no sense of community. Working at the sheriff’s department, I was attracted to working beats around Salinas. 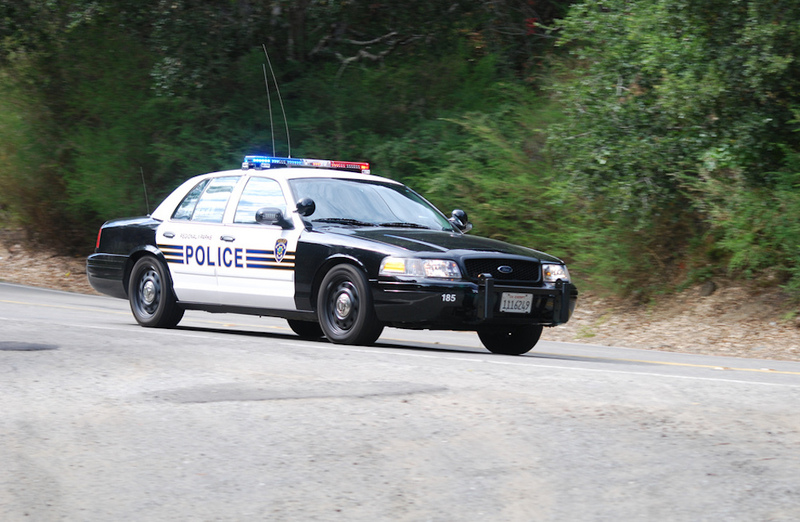 I could hear the activities on the police scanner in the city of Salinas, and knew the streets they were mentioning. I found myself thinking I should be helping in the city. So I applied with Salinas Police Department and was hired. Joe Gunter always told me I should bring my track shoes to work in Salinas, and he was right. As a Salinas police officer, you’re always running—there are so many calls, the town is so busy. I’ve done a number of different jobs—training officer, SWAT, detective, the gang unit—and also found time on nights and weekends to complete bachelor’s and master’s degrees. I was the first in my family to earn these degrees. 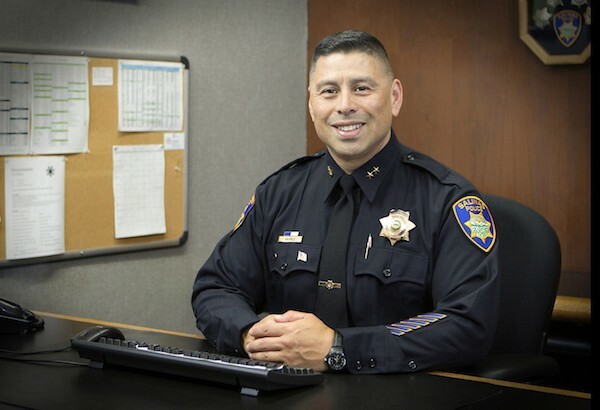 Over the next 20 plus years in the Salinas Police Department, I was promoted to sergeant, lieutenant, commander, and then, in 2013, I became one of two deputy police chiefs. One deputy chief oversees the investigations division, and the other (me) the operations division (patrol). Policing your own hometown has both advantages and challenges. I think there are significant advantages to knowing the area, the culture, and the local history—it makes it easier to communicate with people, and to anticipate how people will perceive some of the things you’re doing. I think I’d be even more effective if I spoke Spanish fluently—but, to my great regret, my Spanish skills are basic. Knowing how important the skill is in serving Salinas, I have done my best to recruit local Spanish-speaking police officers. I work at staying grounded in the community. I love sports photography, and regularly shoot high school football, basketball, and baseball games here; you can find my photos in several local school yearbooks. During my career, I’ve been on the board of directors of three local nonprofits—our own Police Activities League (which organizes sports and other activities for youth), Second Chance Youth & Family Services (which offers counseling and other services for at-risk youth), and Sun Street Centers, a drug and alcohol abuse program that serves our community. All three deal with related problems in Salinas—there’s a close connection between gang violence, drugs, and alcohol. The Salinas crime picture is incredibly complicated—I’d need a doctoral thesis to explain all the variables. Start with socioeconomic disadvantages, absentee parents, educational challenges, then add in the glamorization of gang lifestyles in music and movies, and the intrinsic desire of kids to belong to something. The gangs are better armed than they used to be, and the prison gang and drug cartel influences have made the problem even more challenging. While the problem is very real, the perception of violent crime in certain areas of Salinas has been overstated. This is very unfortunate. Gangsters are a small number of people here. By far most of the people of East Salinas are like my family and friends. They are honest, hardworking, productive members of the community who want a safe place to live, work, and raise a family. 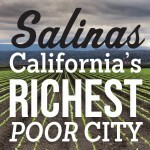 It’s a shame that the area’s reputation causes people to avoid East Salinas. In the police department, we are trying to use technology to work smarter and target the most violent individuals. The days of just driving around and trying to arrest gangsters are over. We rely heavily on intelligence and statistical analysis to identify the troublemakers in our city. We combine that with place-based policing, as part of our overall violence reduction strategy. This worked particularly well in the neighborhood of Hebbron, where we had two officers who took care of quality-of-life issues, and devoted the time to really get to know the people there. We even won a grant to support this type of work; we plan to have similar teams of officers in Acosta Plaza and eventually the Chinatown area. Unfortunately, we had to temporarily shut down our place-based policing program—and all our other special units. We simply do not have enough officers. We are more than 30 officers below our budgeted force. The attrition and retirement rates have been outpacing our hiring efforts. Police recruitment and staffing are big problems everywhere—and the recent media coverage of alleged police misconduct is not helping matters—but Salinas has special challenges. We’re just an hour’s drive from Silicon Valley, where bright, educated potential police recruits can make three times the salary and not have to put their lives on the line. For my part, I tell people that in Salinas, there is a lot of hope. I see it as I police the city—in the improvements people are making in neighborhoods, the work that planners are doing to attract small businesses, the investment by Taylor Farms in its new headquarters downtown. If we can make Salinas peaceful and safer, the future could be very bright. Right now, we’re focused on the fundamentals of policing—and on building our ranks so we can continue to grow our commitment to community-oriented policing. We have 13 people in the academy and need more. Our goal is to better reflect the community we serve, and things are much better in that respect than when I started 30 years ago. We even have a grant for eight school-based police officers, and I’d love to have the people to staff it. I know firsthand the impact even one officer in one school can make on a kid in Salinas. Dan Perez is a 30-year veteran of local law enforcement. He is the married father of three who enjoys photography and travel in his spare time.This essay is part of Salinas: California's Richest Poor City, a special project of Zócalo Public Square and The California Wellness Foundation. *Lead photo courtesy of Paul Sullivan. Interior photo courtesy of Dan Perez.